Individuals who are looking for the perfect palm tree to complete their landscape should look no further than A Quality Plant in Ruskin, Florida. We are the number one growers of palm trees in the area and can give you the palms you are looking for at a lower price than almost anywhere else.Palms have graced royal courts for years and also have given homeowners the choice of the perfect palm trees for their homes adding curb appeal, value and shade. This is what we can do and what to do for you. There are hundreds of varieties of palm trees you can use and make sure you have the options that you need. Get quality Date Palms, Royal Palms and Silver palms at the best prices when you choose to use the rowers at A Quality Plant in Ruksin, Florida. We are a Wholesale Palm Tree Nursery & Tree Farm, Grower, Landscaper, Landscape contractor, serving Florida, Tampa, Sarasota, Orlando, Bradenton, and we ship to other areas as well. We have the palms you are looking for and can give you beautiful and quality palms to complete your landscape. We do our primary business in and around the Florida area, however, we can provide Wholesale Palm Trees Atlanta, Georgia. Look no further than us when looking for Wholesale Palm Trees Atlanta, Georgia. We have palms found the world over and can ship palms to you in the Atlanta area.n easily. 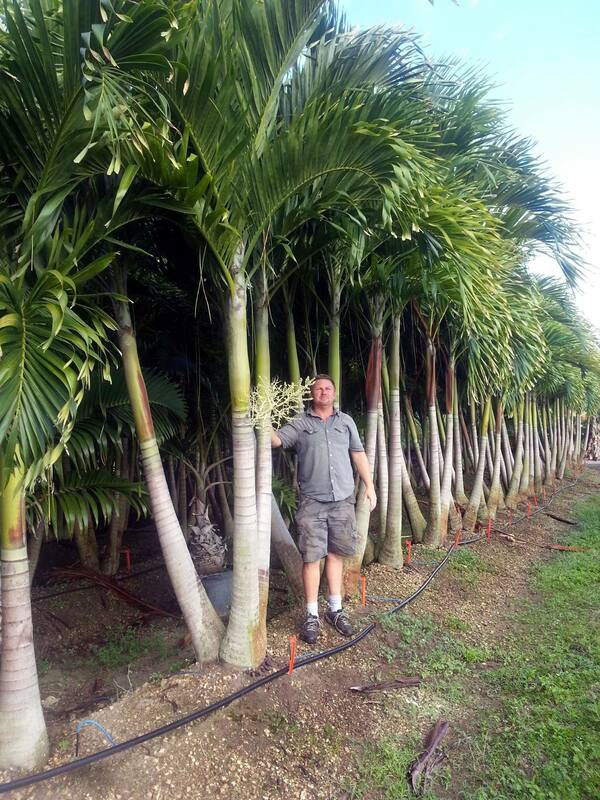 We are the growers who take the time to lovingly raise the perfect palms for our customers. We offer you the best in quality and the best in service. Whether it is the Sable Palmetto you are interested in or other palms that interest you we have the palms you are looking for. We have over 300 different types of palms and order and maintain palms form all over the world. These are the palms you need when looking for palms that are set to meet your needs for quality landscaping whether you or a homeowner with a yen for the perfect palm or a commercial enterprise looking to beautifully landscape your exterior. We can help with our acute attention to detail when helping plan your landscaping project and our wide variety of palms to suit your needs. It should be emphasized that not every type of palm is suitable for all types of weather. Our excellent customer service staff can help you select the best palm or palms for your needs, and can provide tips and maintenance information for keeping your palms in the best possible condition for as long as you need them to be. For Wholesale Palm trees Atlanta, Georgia we are the company that can give you what you need in terms of the best and most dazzling palm trees that can make your residence, commercial enterprise, or even city venue one of the options you can find in palms. For Wholesale Palm Trees Atlanta, Georgia look no further when you are looking for this quality enterprise to give you the palms you are looking for. Wholesale Palm trees Atlanta, Georgia can be yours.